Stephen Ministers provide emotional and spiritual support and care to people who are going through a difficult time, such as divorce, grief, hospitalization, terminal illness, unemployment, chronic illness, relocation or loneliness. Finding new Stephen Ministers is the next step for our Stephen Ministry program. We are praying for the individuals God is calling to serve as caregivers. Please include this need in your prayers. God answers our prayers because he is faithful. 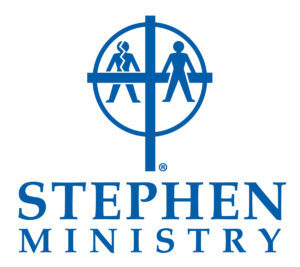 For more information about Stephen Ministry, contact Luann Weber or Carolyn Taylor. Stephen Ministry- What is it all about? …after the last child honks the horn, waves, and drives away–and the house suddenly seems empty. Stephen Ministers are the “After People.” They are ready to come alongside you, or your friends, neighbors, coworkers, or relatives, and provide comfort and support for as long after as needed.